This course has very specific in it’s intentions. The Quickstart is meant to give you enough knowledge to descend canyons with very short rappels like Orderville and Subway. It is a very efficient introduction into what the world of canyoneering has to offer, but in no way is intended to be a substitute for our Basic One Day Course. These are the first baby steps to learning the necessary skills to descend a technical canyon. If you desire to be a proficient canyoneer and do longer and more difficult canyoneering routes in the future, you should consider either the Canyoneering 1 Day Basic or the Canyoneering Intermediate 3 Day Course. This course includes all of the essentials: planning, rope management, anchor evaluation, rappelling, safety issues and concerns. 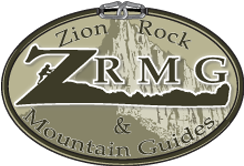 The curriculum of this course is designed to provide you with the skills and knowledge to descend a select few of Zion National Park’s entry level canyons. Bring all of the above personal items into the shop with you.